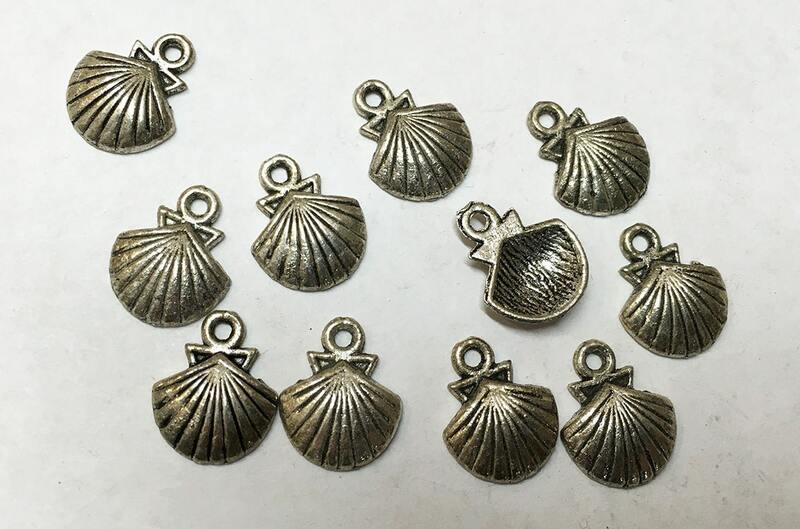 10 antique silver clam shell charms. Single sided charms which measure 15mm x 12mm. Add a jumpring to easily attach to charm bracelets, book marks, key chains, zipper pulls, necklace chains, earwires and more.